Submitted by guest on February 26, 2009 - 19:47. Submitted by rob on February 26, 2009 - 20:24. 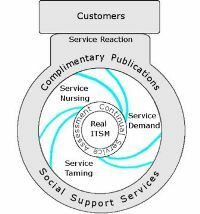 Oh I hear that all the time: "Real ITSM is just common nonsense written down". it is Real Practice alright. So how many copies will you need for staff training ? Submitted by guest on April 8, 2009 - 18:44.